Whether you're naturally a tidy person or not, keeping a bathroom clean can feel like an exercise in futility. If you suspect you are losing the battle for cleanliness and hygiene it might be time to implement some strategies to keep your space sanitary, stylish, and organised. 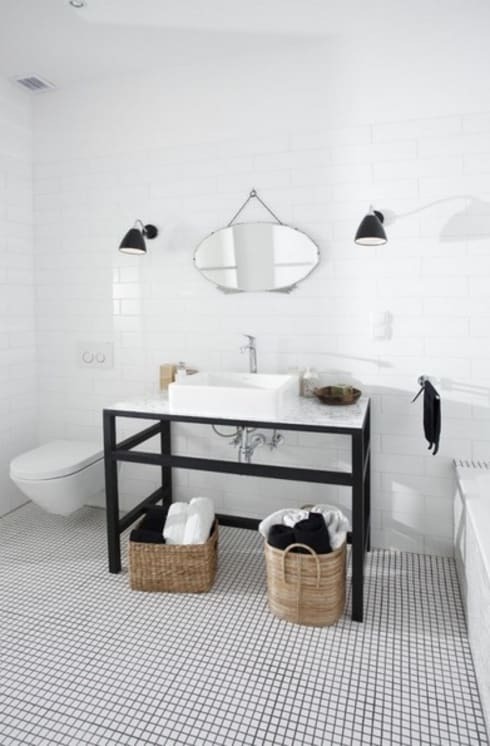 Unfortunately, bathrooms tend to attract clutter and mess. Due to their size and sleek surfaces, a simple old bar of soap, a few packets of expired medicine, and a dirty towel is all it takes to transform the room from sparkling to scruffy. Luckily, homify is here to help! 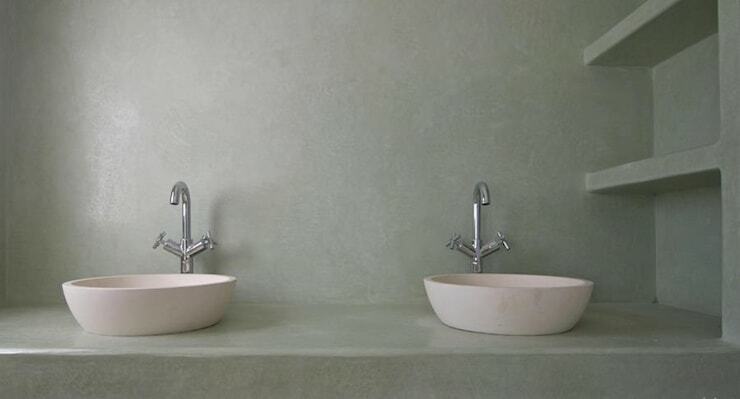 We have collated ten of the most important factors we believe aid in keeping your bathroom immaculate and orderly. Check out the following 10 commandments below for some helpful hints, and handy tips! The problem: The bathroom constantly looks messy, and surfaces are covered in all sorts of bits and pieces. 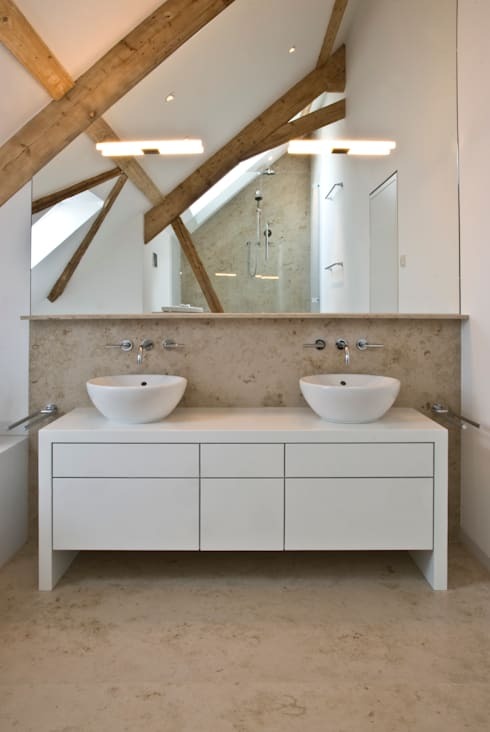 The solution: A sparse countertop is a stylish countertop, and possibly the most common issue within the bathroom is attempting to keep these surfaces looking mess-free and organised. The easiest way to achieve this is to keep the space clear of any junk and jumbled items that may be contributing to the overall shabby appearance. 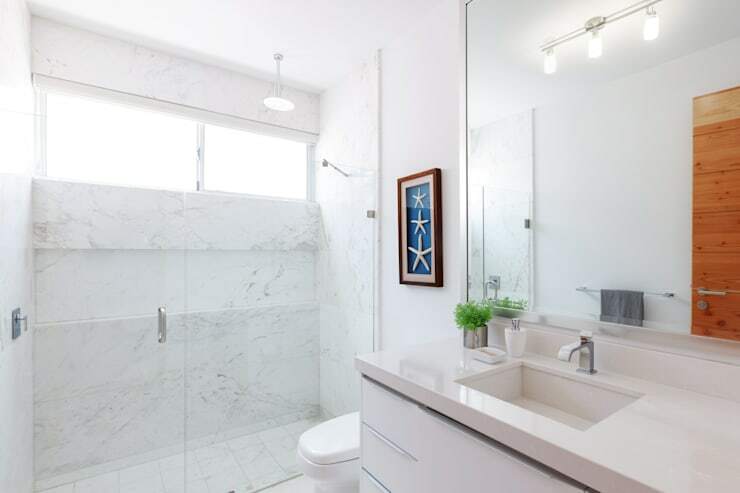 Within a bathroom surfaces are sleek, and when covered with ornaments, curios, accessories or general living appurtenances, appear messy and cluttered. Basic maintenance can help keep the space clean, by ensuring anything on a surface is removed and relocated to a more suitable space. The problem: Cupboards are messy, underutilised, and everything is strewn around the room, contributing to a chaotic scene of clutter. The solution: Similar to the ‘keeping surfaces clean’ rule, it is imperative you keep things in cupboards and drawers. 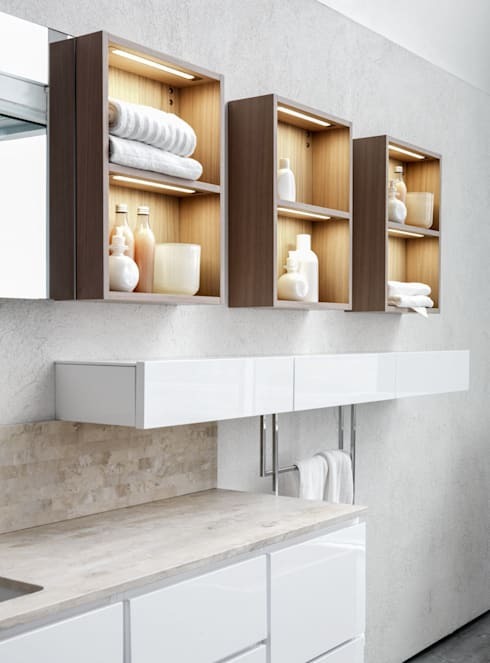 Instead of leaving everything out in the open, employ cupboards that provide designated space for all your of your bathroom appurtenances. If you are lacking cupboards or appropriate storage chat to a bathroom planner or interior designer to make some stylish changes to your wash room. The problem: You have too many lotions, creams, ointments, oils, and balms! The solution: I’m sure everyone can relate to at one stage or another having too many bathroom accessories. These days we tend to purchase far more than is required, and have numerous balms, lotions, creams, shampoos and conditioners. Unfortunately, most of the time we buy something before we have finished using the previous item, meaning clutter almost inevitably builds up. Employ the one in, one out rule to solve this problem. This rule stipulates that for every additional item you add to your bathroom, you remove another. Have you added a new face cream to the bathroom? If so, you must throw one out! Follow this rule to reduce clutter within your bathroom. The problem: The room is always messy. The solution: When using items within the bathroom, employ the don't put it down, put it away rule. Simple enough to remember, this essentially means you need to put something away, rather than simply putting it down onto a surface. Follow this rule and you will ensure that nothing ends up cluttering surfaces. The problem: The medicine cabinet is disorganised. The solution: Expired or unused medicine is one of the most common items people keep, and also an item that causes clutter within the space. If your medicine cabinet is messy it can make life disorganised and frustrating. Organise a time to review all of your medications and medicines, keeping in mind some of them might be expired and should be disposed of. Those that are out of date should be taken to your local pharmacy or chemist for proper disposal. The problem: Everything gets dirty at the same time, requiring a huge spring clean that takes too long. The solution: Instead of a performing large thorough clean that is tiresome and time-consuming, regularly clean different sections of the room at alternate times. In doing so, you will ensure your bathroom is neat and tidy, but without the stress of needing to undertake a time-consuming spring clean. Of course, you will still want to perform a large clean every so often, but doing each small bit-by-bit will make this far easier in the long run. The solution: If you have a rubbish bin-free room, it’s time to invest in a suitable receptacle! Bins and trash vessels needn’t look shabby or unattractive, and can instead be purchased in stylish chrome, or colourful hues. Take a trip to your local homewares or bathroom store and check out the latest in simple, handy, and easy to look after bins. The problem: The floor is covered with dirty clothes and towels. The solution: We’ve all been there, stepping out of the shower onto a damp floor mat, and then throwing the wet towel into a pile to ‘retrieve it later’. Unfortunately, this tends to create a mess, with the dirty towel and clothes almost always left to fester and look unkempt. 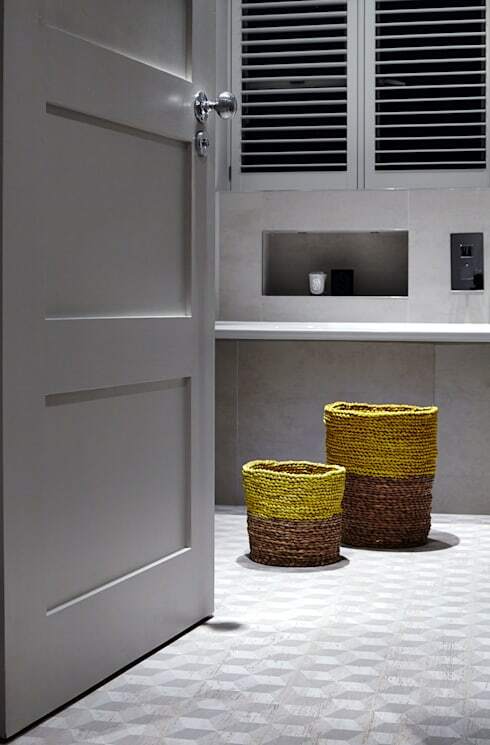 Do yourself a favour and along with a new rubbish bin, invest in a stylish laundry basket. 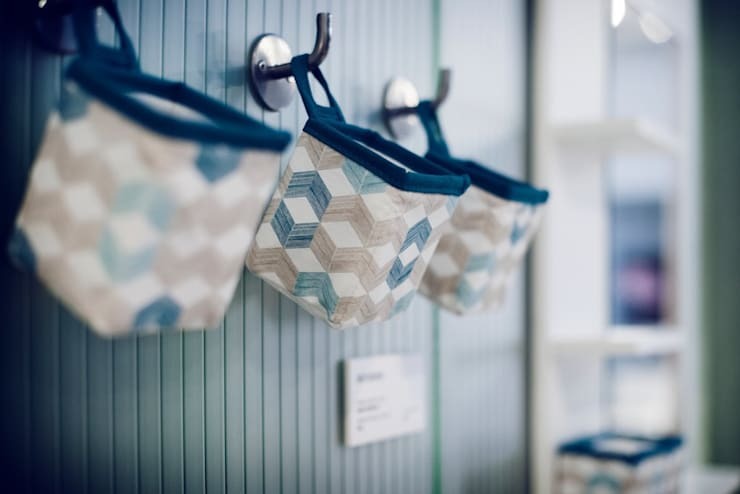 These days there are numerous styles and designs that suit any interior, and will create a handy and easy area to store your towels, clothes, and other washables until they can be taken care of. The problem: The overall feeling of the room is unfinished and unfashionable. 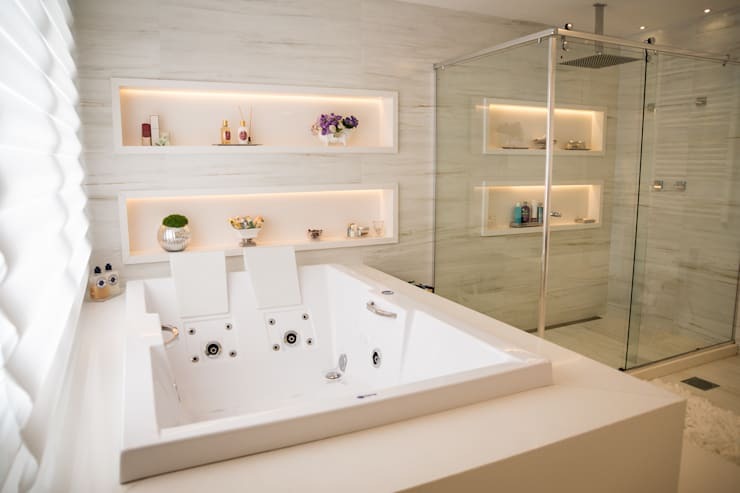 The solution: Often the bathtub surround is home to many unnecessary odds and ends. Use decorative objects sparingly, and if you have bath milk, bath salts, oils, sponges, shells, or other items, ensure they are used minimally. If they need to be removed, remember to store them safely in cupboard or drawer. Accessories accumulate dust, and although shells might have looked stylish when you purchased them a year ago, they can easily age and become less attractive. 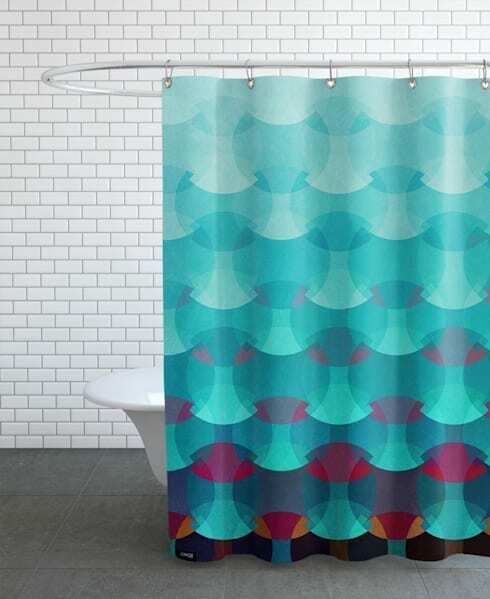 Does your bathroom have the hygiene of a hospital, or is it a cluttered chaotic catastrophe? Let us know your bathroom story in the comments below!